Disney offers some great retail therapy! From the parks, to resorts to DownTown Disney, it is a virtual shopaholic paradise. While most folks head directly to their room, the first thing that I do after check in is to check out the resort store. 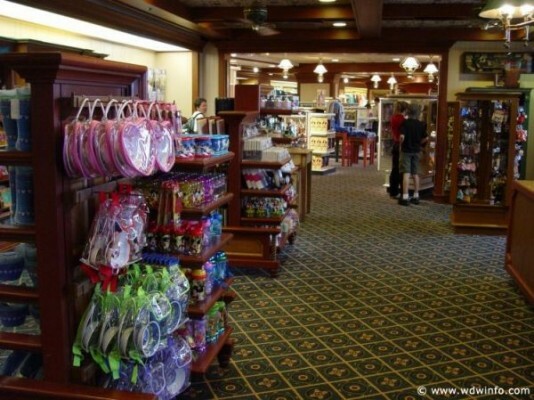 Each resort offers it’s own individual store filled with resort theme merchandise, snacks and personal items that you may have forgotten to pack. I love to look through the resort logo shirts, bags and pins. As with most of the resort perks, the stores get a bit larger and more plentiful, with the resort category. The Value Resorts offer a nice size shop with everything the traveler needs. The Moderate Resorts have a little more merchandise and the size of the store is a bit larger. The Deluxe resorts have several stores offering different goods at each. Some of the Deluxe shops have beautiful jewelery, glassware and beautiful art. 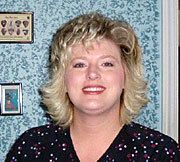 Being the crazed shopper that I am, I want to share some of my favorite places with you. I like to start my park experience in the Magic Kingdom. With that, I head straight for the The Chapeau and grab a great crown or pair of monogram Mickey ears. This becomes my staple head gear for the week. The Chapeau is connected to several shops that lead straight down Main Street, USA. Next, is the Confectionery. All I can say is YUM! Here you will find Character shaped cookies, all day Mickey suckers, rice crispy treats, fudge and much more! It’s almost impossible to walk through without buying a treat for yourself. One of my all time favorite stores is Uptown Jewelers, Magic Kingdom. If you are looking for a pair of earrings, pin or even a nice piece of jewelery, I suggest you stop and take a look. Unlike some of the other large stores, like the Emporium, Uptown is small and quaint. They also have a great selection of glass character figures and Jim Shore collectables. When I’m in EPCOT, I LOVE Mouse Gears! 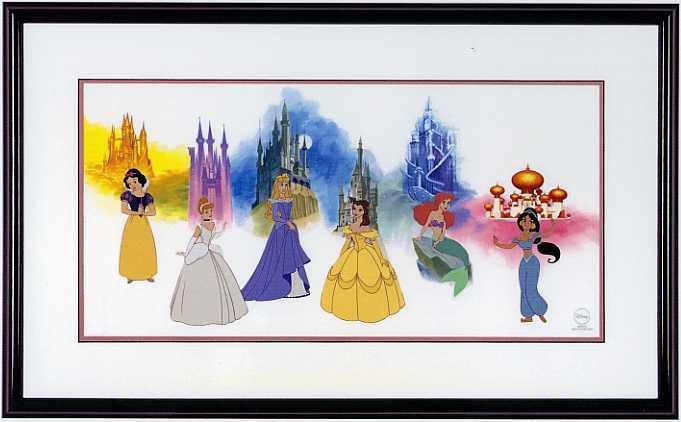 They have everything that a Disney lover could ever ask for. 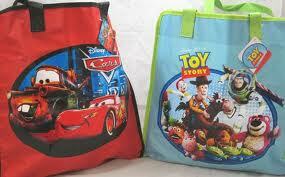 They offer a great selection of purses, clothes, office supplies and plush characters. The store is nice and big, which makes it feel uncrowded even when it is. When you head over to the World Showcase, make sure to save plenty of time to experience the shopping opportunities in each country. They all have specialty shops with clothes, perfumes and even candy and wine. When my boys were young, w spent hours in Japan. They were into Pokemon and the store was filled with them! I always make sure to have one entire day to devote to Downtown Disney Marketplace. It is a shopper’s dream come true! There is a huge variety of stores. Of course, I must first mention World of Disney. It goes on forever! This is one of the most organized places that I’ve shopped. 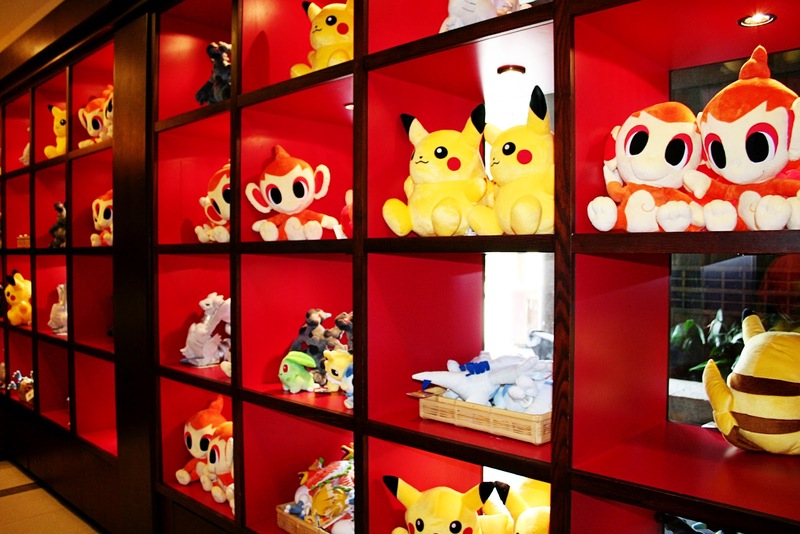 The clothes are in one area, toys in an area, plushes are all together, you get the picture. Very easy to find what you’re looking for. Once again, the jewelery area is my favorite! If you are into bath salts and bubbles, The Basin is a must! With an array of lotions, sponges, message creams and bath gels, the smell is awesome! I love to fill up the beakers and jars with heavenly scented bath crystals. These make great gifts for those ladies on the gift list. 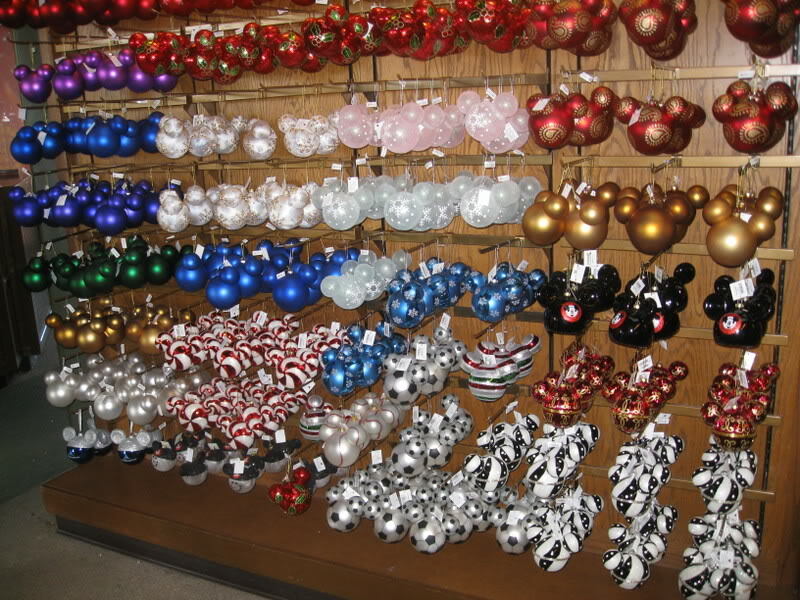 Days of Christmas is a special store that personalizes ornaments. What better gifts to give than a personal tree hanger or Disney stocking? The decorations are incredible. It makes you yearn for December 25 and falling snow! 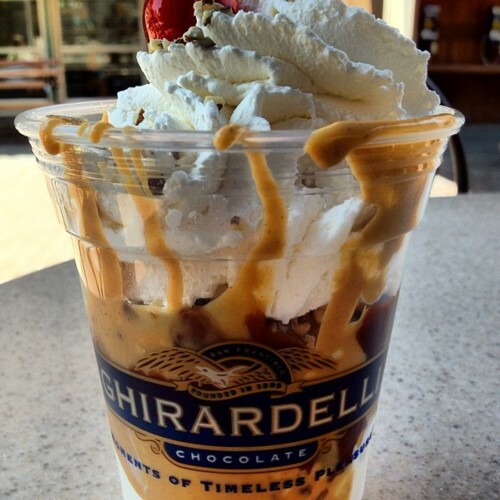 During a rough day on the credit card, I stop by Ghirardelli® Ice Cream & Chocolate Shop. I LOVE the yummy treats that they whip up! Lots of chocolate, whipped cream and jimmies. Most of the time, you can even sample a piece of chocolate while you meander through the shop. This is just a sampling of my shopping obsession! Disney World has too many shops for even the best shopper to hit them all in one trip. The best part is that you can have all packages sent back to your Disney Resort. No need to carry around package all day. That, my husband is thankful for! If you ever need a shopping buddy, just give me a call. I will meet you at Disney World!!! There is always ONE thing I have to have on each trip to Walt Disney World. Usually I don’t know what it is until I get there. Jewelry is always at the top of my list; same as you. On our last trip my daughter bought me gold Mickey Mouse earrings for Christmas. Now, she had to tell me because she knew I had my eye on them and would have bought them. Thank you for all the great tips! 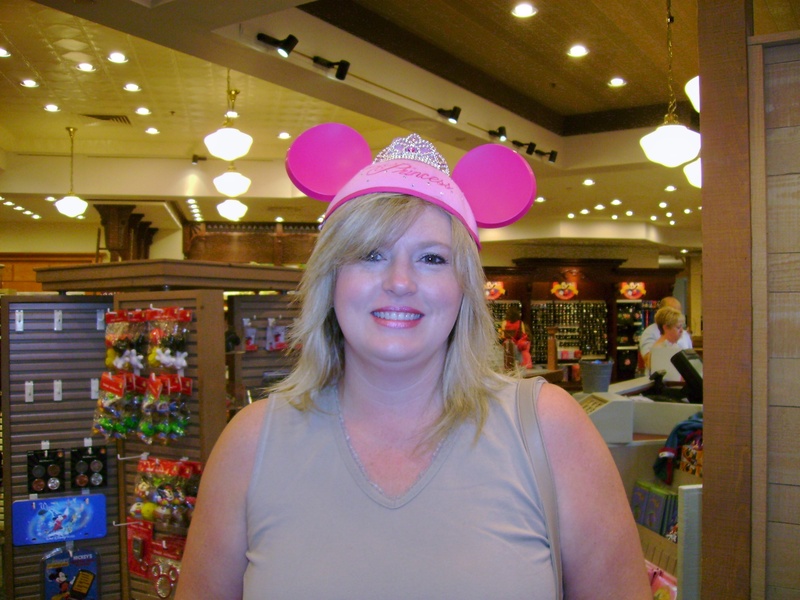 It is pretty obvious that you know your way around the stores in Disney World.